The current KEMAR Head and Torso has the same dimensions and acoustical properties as the original KEMAR, but has been developed further by GRAS to meet the industry’s demand for realistic measurements. It provides acoustic diffraction similar to that encountered around the median human head and torso, both in the proximity and in the far field. 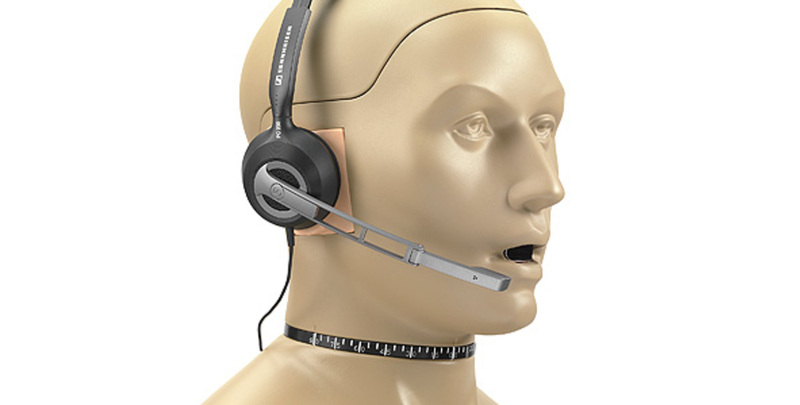 The 45BC-11 is a KEMAR with mouth simulator, anthropometric pinnae and a low-noise ear simulator for 1-channel low-noise headset test. It is delivered fully configured, individually calibrated and ready for use. In addition to a system calibration certificate, a USB flash memory with simulation data is included. The main configuration specific components of the 45BC-11 are the GRAS 44AA Mouth Simulator, the GRAS 43BB Low-noise Ear Simulator System and the KB5000/KB5001 anthropometric pinnae. 45BC-11 is configured to meet the consumer electronics industry's need for R&D testing of headsets, including sets with Active Noise Cancellation. The anatomical shape of the pinna makes it possible to achieve very good fit and sealing with anatomically shaped in-ear transducers. Controlling the insertion depth is easy, leading to good insertion consistency and highly improved repeatability and accuracy of measurements. The improved fit and seal also means that the low frequency response is improved. It will allow you to reproduce bass notes, as well as effectively measure (active & passive) attenuation.